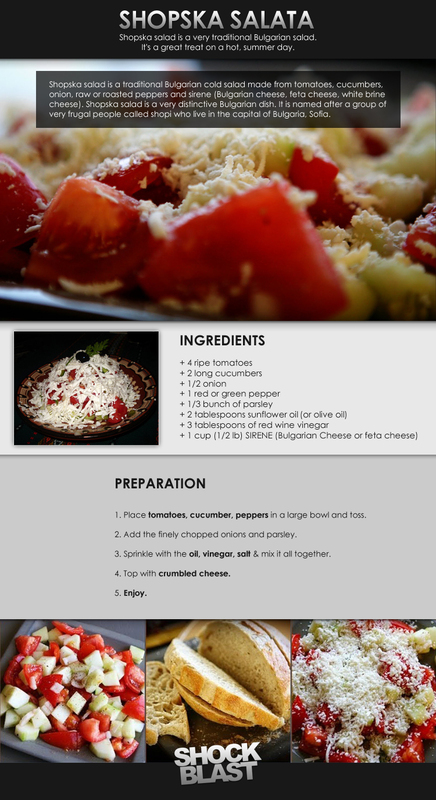 Shopska salad is a traditional Bulgarian cold salad made from tomatoes, cucumbers, onion, raw or roasted peppers and sirene (Bulgarian cheese, feta cheese, white brine cheese). 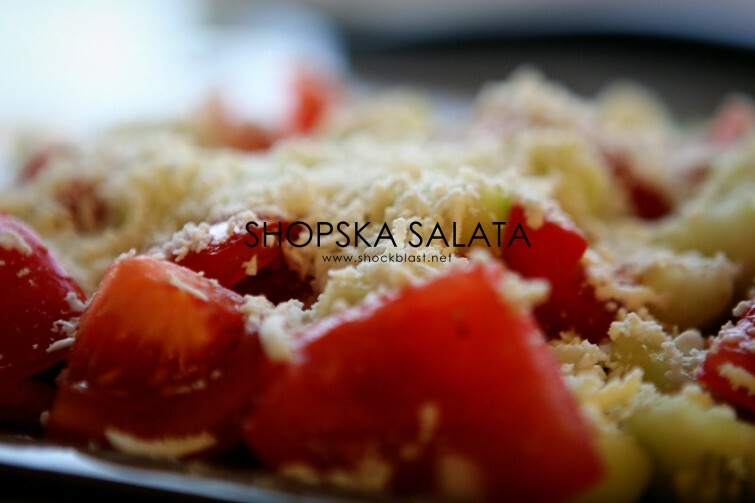 Shopska salad is a very distinctive Bulgarian dish. It is named after a group of very frugal people called shopi who live in the capital of Bulgaria, Sofia.